Lake Effect's Bonnie North chats with BBC producer Peter Curran. This Sunday at 7:30 a.m. CT, BBC Radio 4 in London will broadcast a documentary called The Lipinski. Produced and presented by Peter Curran, the program tells the dramatic story of MSO Concertmaster Frank Almond and the theft and recovery of the Lipinski Stradivarius violin he plays. When Almond was tasered and the instrument stolen from him almost a year ago, it made international headlines. So it shouldn’t have been much of a surprise to us that people in the UK were following the story so closely. But we were a bit surprised to be contacted by the BBC, who asked if we would be willing to be interviewed for the documentary. We agreed, with one caveat: that we could interview the interviewer. Lake Effect's Bonnie North talks with Peter Curran about the documentary. "The violin, and the music that’s been written on this instrument over 300 years, has really moved people," Curran says. "And the fact that someone was brutally relieved of it… it’s a very kind of 21st century collision…"
The half hour Radio 4 version will be broadcast this coming Sunday, December 14th 7:30 a.m. CT. You can stream it live by going to the Radio 4 website.The program will be available on the BBC website 30 days after the broadcast. The hour long, BBC World Service version of the program will air on December 27th – we’ll post details when we have them. Stradivarius violins are so important that they come with their own biographies. Several hundred of them survive today, and they're so prized, you can trace their lineages through the musicians who played them over the centuries. The instruments have been valued at prices ranging from hundreds of thousands of dollars to several million. That kind of money attracts a lot of nonmusicians, like investors — and thieves. MSO concertmaster Frank Almond and Stefan Hersh of Darnton and Hersh Fine Violins in Chicago discuss the beauty and risks of playing a rare Stradivarius violin with Lake Effect's Bonnie North. 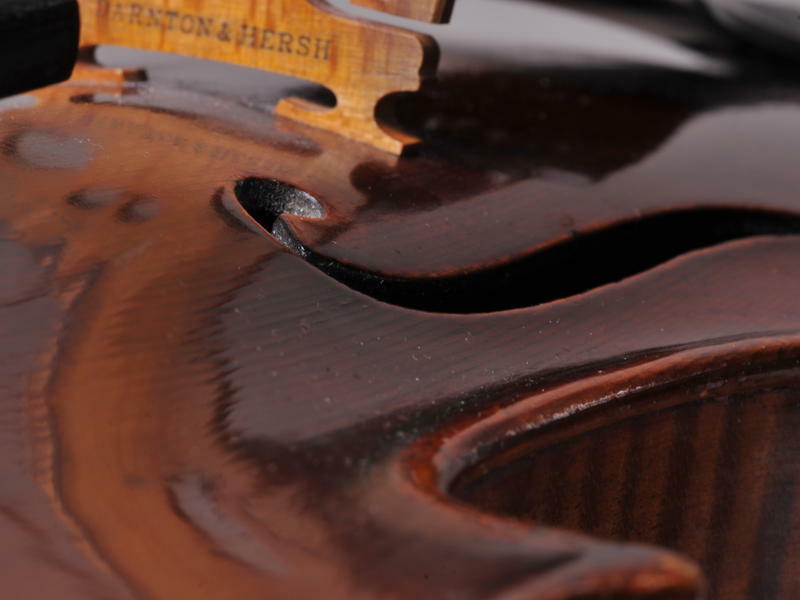 A rare, multi-million dollar Stradivarius violin was stolen Monday night from Milwaukee Symphony Orchestra concertmaster Frank Almond, according to Milwaukee police. UPDATE: The Milwaukee DA's office on Friday issued robbery charges against two Milwaukee men - Universal K. Allah and Salah I. Salahadyn.